Getting married walking through the beautiful parks of Charlotte. Say your vows on the top floor of a lighthouse. Or maybe that romantic ceremony you thought was only possible in movies. You decide exactly how your wedding is going to look like but actually don’t have ideas to make it possible. This is going to make you search for a professional wedding planner that can help you in turning your dream wedding into reality. Golden Venues has years of experience in organizing successful weddings in Charlotte and nearby suburbs. No matter who you are, what kind of wedding you want and what is your budget, Golden Venues has a wide network of wedding planners who understand your requirements and arrange the best possible wedding in your budget. As your wedding planner, we take all your stress and there is only one thing ledit for you, enjoy the wedding. Organizing a wedding takes Golden Venues around 70 hours. Yet every wedding is different and some want to do more themselves than others. Based on the information provided, you will receive a customized offer with a clear hour indication. 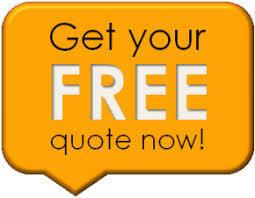 Please fill up the no-obligation form to get a free quote and get in contact with our wedding planners in Charlotte NC.